Brilliant! At last, we join the ranks of everyone who has their own! (But ours are just better!) Explore, use, enjoy!! :D Rob, you and Heather are a bleedin' wonder. :> Awesome. Is it ok if we make some more? If you're doing one-elf-per-emotion then why are there two Cutters and two Skywises? I mean that one elf can be more than one particular emoticon, but there can only be one image per emoticon. i.e. Skywise can be both wink and smirk, but now that wink is taken, wink can only ever be Skywise. I have no life, no life at all! Because Leetah can cry so elegantly. So cool that there are official versions now! it was of course easy and too tempting to combine both Skywise smilies into a small animation...Apologies to their maker, I hope you don't mind! Elwing said: it was of course easy and too tempting to combine both Skywise smilies into a small animation...Apologies to their maker, I hope you don't mind! We sure can update 'em! Fantastic, Elwing! The One-Eye is great, but the basic smile is occupied by Cutter. The pirate one perhaps? :ar! yes, the idea was the pirate smiley. Arr, matey! =(( could also fit for bawling Leetah...Odd that there isn't a crying smiley currently, as those are common. My idea would be to have a Pac-Man type Guttlekraw or Madcoil head, eating all the Elf emoticons and spitting out their skulls. Elwing said: $-) ? ! OK. THIS is my new favorite!!! I LOVE how all these look!!! I'll have to make Ty on this one now. Aww, give the guy a break. Does anyone have suggestions for characters that would be nice to replace particular smilies with? I'd like the puppy-eyes smiley: :o3 to be replaced with a wolf puppy eyes smiley. Not necessarily any specific wolf, just a generic one would do. 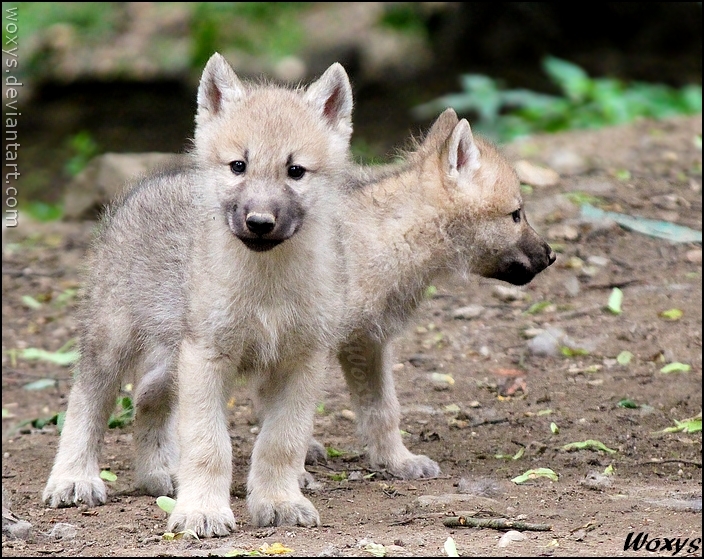 tough one, because wolf an dog pups look pretty similar. It would not have floppy ears of course...*edit* and I see it is a 20-frame animation...oof! Good point... just a suggestion. If you see a pirate instead of One-Eye in this post, the old images are stuck in your browser cache. You can try holding shift and reloading the page, that seems to work for most. Cutter deffo rocks that sunglasses look! I was out to make a really cute smiling little wolf pup but she grew up too quick and now she's growling and following me around the room. Halp? Mom is growling because she's missing her cub? ;) Well, wolf Mom looks fab! *laugh* She's cute! Maybe you could recruit some elves to help you keep her under control? They certainly like to visit fan homes on more than one occasion, so they should be willing to stop by yours at some point. Part of the problem might be that she's showing her teeth? Maybe if you altered it to just raise up the sides of the mouth and not the front? I dunno. I'm not very good at this myself. I love re-reading old topics and seeing the elf smileys pop up where people originally used ordinary smileys! :ar! This just might have bought my old smiley-face-spamming ways back! Added :o3 and :-S ! I can see a few that could be Maggoty, Two-Edge and Guttlekraw. Of course, if I had my way, they would ALL be Trolls. Trollquest would make a good one-off. It could start with a young, handsome troll heading out on a quest to learn the origins of the trolls. Adventure! The endless horizon! The wonder of knowledge and growth! Then he ends up seduced and melted by Winnowill. The end. @Rob I was going to name the game I'm working on Trollquest, and focus on them, but it has changed a bit and become unfocused... Also not done either. Would I be able to use these emoticons in the menus of the game, especially since I want to try and make the game feel like an extension of the forums? If you're making a fashionably low-res videogame, though, there is a huge set of excellent 32x32 character portraits by Gunnar Ljungstrad, an EQ fan who died some time ago in a hiking accident. I've always wanted to see the Amiga-era game his artwork implied. To have them put to use in the intended context would be a fitting tribute. Edit: I don't seem to be able to find the set! I bet someone out there has 'em. manga said: :-w This one might be made into a good Rayek. We need more. and thanks for making them official, Rob! Do I need to find the ones I have? I have the original set. You win at life, Tynami! Timmain is fab, Elwing! Great idea and excellent work. By the way, if anyone else wants to a try at this- it's really not so hard. I use Photoshop to edit these small bitmaps, but you can use Paint. To make the animations, I use http://gifmaker.me/ . It's very simple to use, you upload the different frames and an put them in the right order, and then decide how fast the animation should run. It's lots of fun! This site can also be used to disect existing animated gifs into single frames. Excellent, Leenan! Our inventory is growing! So, what should I do next? Yes! Good one! Will look into that on Sunday! WOW! ^:)^ Petalwing turned absolutely amazing, Elwing! Hmm. That would work for Kimo too, of course. Maybe tomorrow! Sure ElfPop. I'm eager, I'm not idiotic. You've got stuff to do. Let my eagerness get the better of me with that, I must admit. :-\" This could be a good Skot. Innocently wistling away. I like doing these, I like how economical they are. most are 26x26 pixels, an every pixel is there for a reason. Sometimes it takes a few tries to get it right. Skot here was a very simple 4 frame animation at first, but in the end I cut out two frames and left an even simpler 2 frame animation. It's an exercise in "less is more!". Maybe instead of dreamberry wine, just make it a dreamberry? A Dream... - great idea, Tam! There could actually be a Dreamberry smiley! Let's drink to all of us!